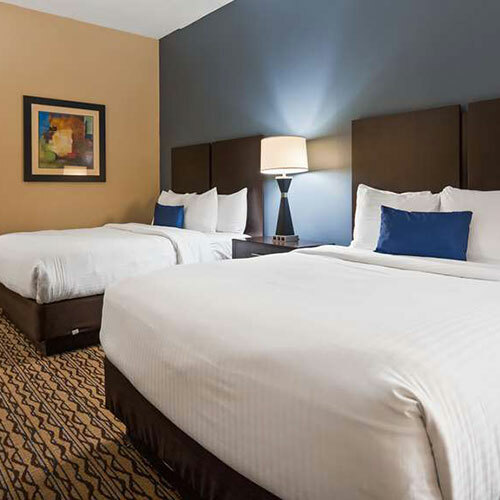 If you want a bit more free floor space and a comfortable chair for relaxing while reading or watching TV, request a room with a king-size bed. Bathrooms are spacious and have large vanities. Free snacks are served every evening 6-8 p.m. Smoke free premises. 51 units. 3 stories, interior corridors. Accessibility (Call). I-71/75 exit 181, just ne. 7821 Commerce Dr 41042.